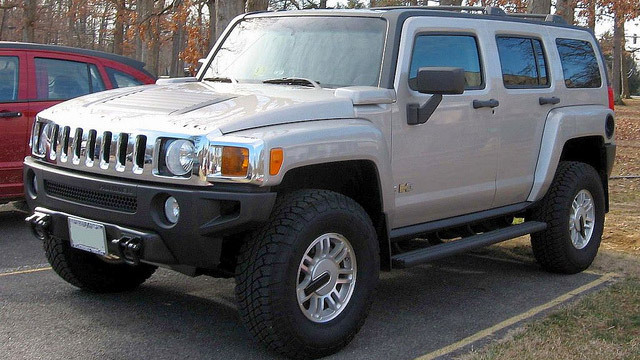 John’s Automotive Care is the trusted source for Hummer service and repair in San Diego. Our auto mechanics have experience in providing auto repair for virtually all foreign and domestic vehicle makes and models, including Hummers. We don’t shy away from the toughest problems on the finickiest cars. In fact, our team is always up for the challenge. Even the most dependable of cars require service, and your Hummer is no exception. With a thorough inspection, accurate auto repair, and honest advice, we make sure you can continue to depend on your Hummer. Our 36-month/36,000-mile warranty is a testament to the reliability and quality of our auto repair. You can rely on us for expert service. “Very very friendly! Couldn't do enough to make this service call any easier! Car was in great shape & received photos of all work done & future work that may have to be done! Called me & texted me when job was completed ✅! I will definitely recommend them to All my Friends! Also received a photo of my technician & manager😊! Very special company!! !” -- Susie B.
Hummer owners, like you, know they can rely on receive stellar auto repair and customer service at John’s Automotive Care. Our highly-qualified and trained auto mechanics are leaders in the automotive industry. Our team consistently earns fantastic reviews and testimonials from satisfied clients and takes great pride that clients choose us as their service center, too. To schedule an appointment for your Hummer auto repair service, call us at (619) 304-0815. Visit John’s Automotive Care at 6267 Riverdale Street, San Diego, CA 92120.